Business organisations using Aadhaar services will now have to pay Rs 20 for each customer verification and 50 paise for authentication of each transaction carried out by the entities, the Unique Identification Authority of India (UIDAI) said Thursday. 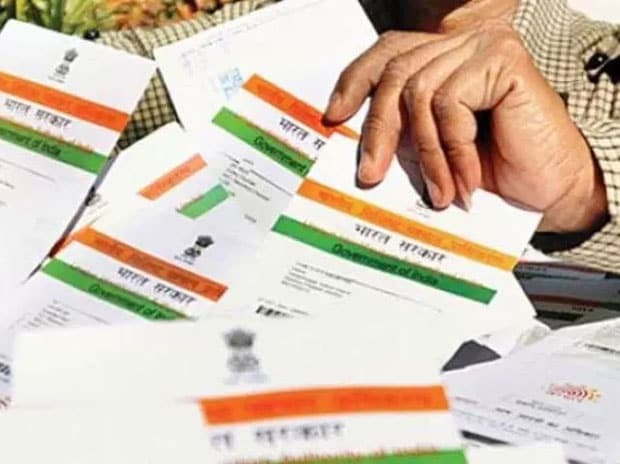 "Aadhaar authentication services shall be charged at the rate of Rs 20 (including taxes) for each e-KYC transaction and Rs 0.50 (including taxes) for each Yes and No authentication transaction from requesting entities," a notification by the UIDAI said. The gazette notification, the Aadhaar (Pricing of Aadhaar Authentication Services) Regulations 2019, however, exempts government entities and the Department of Posts from authentication transaction charges. "The entities have been incurring a cost of Rs 150-200 per KYC sans Aadhaar. They have been demanding to use Aadhaar-based authentication and KYC services on account of these being convenient to them and their customers and also the fact that they will save huge amount which they currently incur in doing KYC through traditional means such as paper, physical verification, etc," an official source told PTI. The UIDAI source said with a nominal cost for each eKYC transaction entities would still be saving on Know Your Customer (KYC) cost while serving people with ease. According to the notification, the entities shall be required to deposit the authentication transaction charges within 15 days of issuance of the concerned invoice based on the usage. The delay in payment beyond 15 days shall attract interest compounded at 1.5 per cent per month and discontinuation of authentication and e-KYC services. Sources said that if an existing requesting entity (except those exempt), continues to use Aadhaar authentication services beyond the date of publication of these Regulations, it shall be deemed to have agreed to the specified authentication charges. The source said that now as per the amendments made through the Aadhaar Ordinance, several entities may now become eligible to use Aadhaar authentication subject to their meeting security and other conditions as per the Aadhaar Act and related regulations. "Therefore, it is just, fair and reasonable that such entities should contribute to meet expenses nominally which are incurred by UIDAI in providing these services," the source said. However, such banks, which fall short of the Aadhaar enrolment and update targets, as communicated from time to time, will be charged in proportion to the shortfall in achieving the target. UIDAI sources said that the above charges shall be in addition to the licence fees and financial disincentives, as applicable. The details of the transaction error codes and its charges shall be issued separately. "However, the transaction charges as applicable till the date of de-activation of access to authentication services shall have to be paid," the source said.